The Yealink W56P is the upgraded DECT cordless IP phone in their range of VoIP handsets for business. It has been developed to enhance communication for staff in various industries such as warehousing, medical and retailing that need the flexibility of being mobile in the workplace. 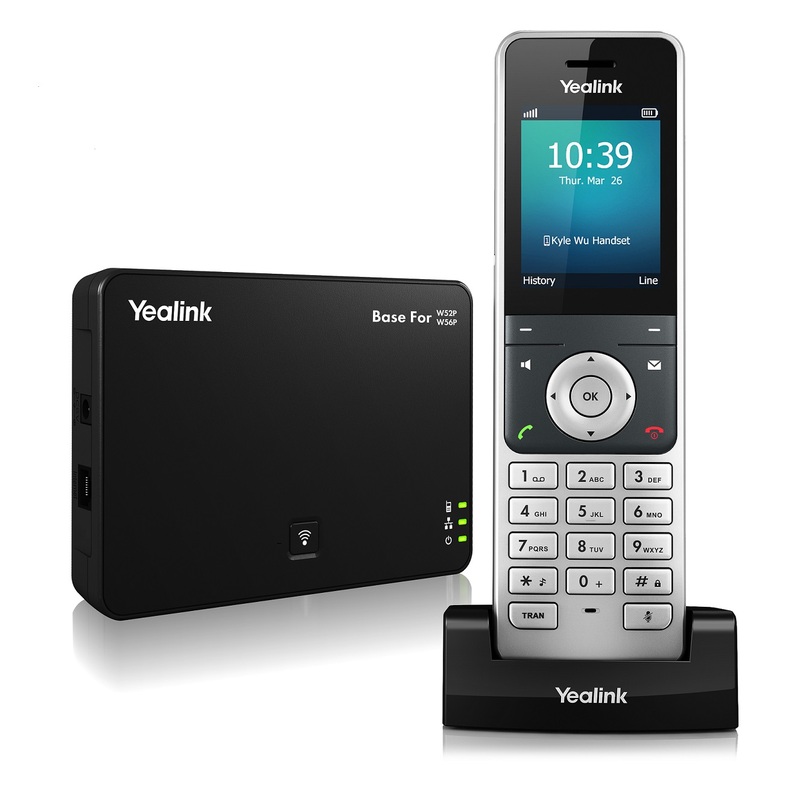 The Yealink W56P features a large 2.4-inch colour screen, an elegant industrial design, excellent battery life and a myriad of easy-to-use features that make this new cordless IP phone from Yealink an essential addition to all businesses that demand reliability.